Colt continues to take its battle and time proven M1911 pistol and adapt it to meet the changing requirements of its customers with its Close Quarter Battle Pistol. Where quality and workmanship are demanded, Colt once again meets and exceeds the expectations of its customers. This handgun is outfitted with new and exciting features. The Picatinny Rail offers the versatility to adapt tactical light and laser accessories to the receiver of the CQBP, making it a tactical pistol easily adaptable to any military. 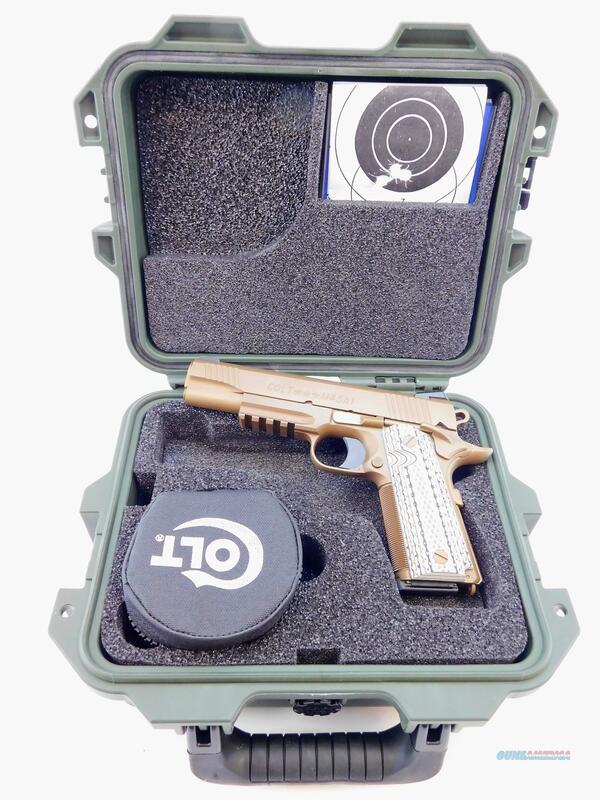 Colt's 1911 Government Limited Edition pistol features a FDE Ionbond frame and slide finish and custom shop 20 LPI checkering. It has a dual recoil spring system that reduces felt recoil, Novak low mount carry night sights front and rear, and a Colt custom shop fitted barrel and custom tuned trigger.